As the nights grow longer and the chill starts to set in, it’s only right that you should lift your spirits and the ambience within your home with some winter sparkle, and you can rely on Swarovski for that. 1. A contemporary take on a classic design, the Ambiray Picture Frame from Swarovski is crafted in gleaming stainless steel with one corner lifting back from a side set with a spectacular number of tiny, faceted clear crystals. The ultimate way to showcase a favourite family photo, it would make a much-loved gift, too. 2. 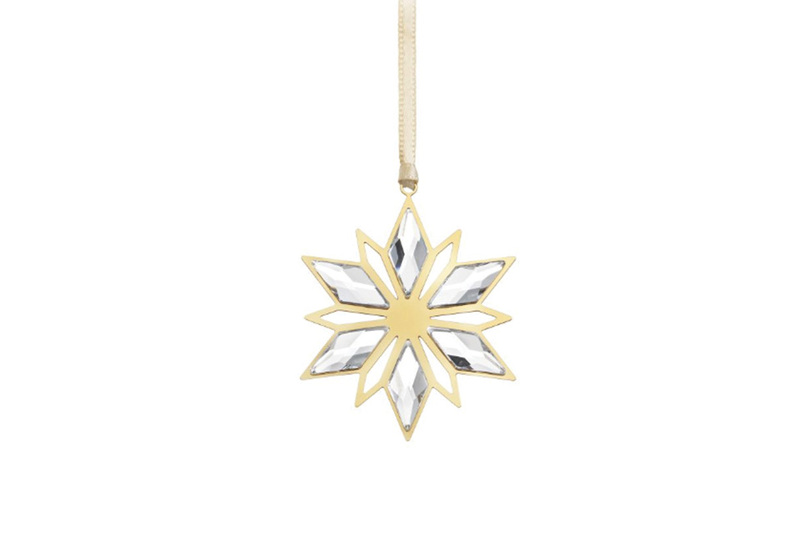 Get set for Christmas by stocking up on Swarovski’s Golden Star Ornaments. Not reserved for the tree alone, the exquisitely crafted ornament, which hangs from a satin ribbon, will illuminate any festive display. Available in gold and silver tones, we like the idea of mixing them up. 3. 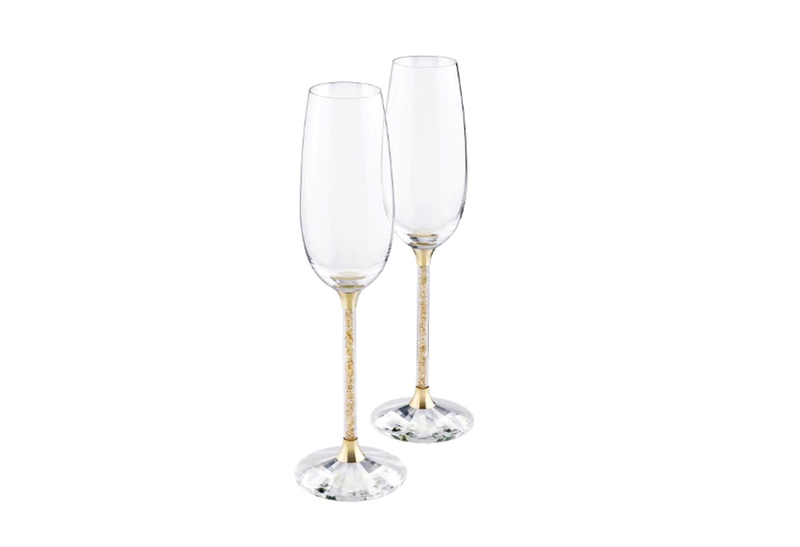 Toast to loved ones in style with the Swarovski Crystalline Toasting Flutes. A set of two, the elegant glasses are an exquisite design that sees the stem flanked by gold-coated metal and filled with Golden Shadow crystals, to truly sparkling effect. Don’t forget to put the bubbles in the fridge! 4. Whether placed on the dining table or dotted about the living room, Swarovski’s Shimmer Tea Lights create a warm and illuminated atmosphere when lit. 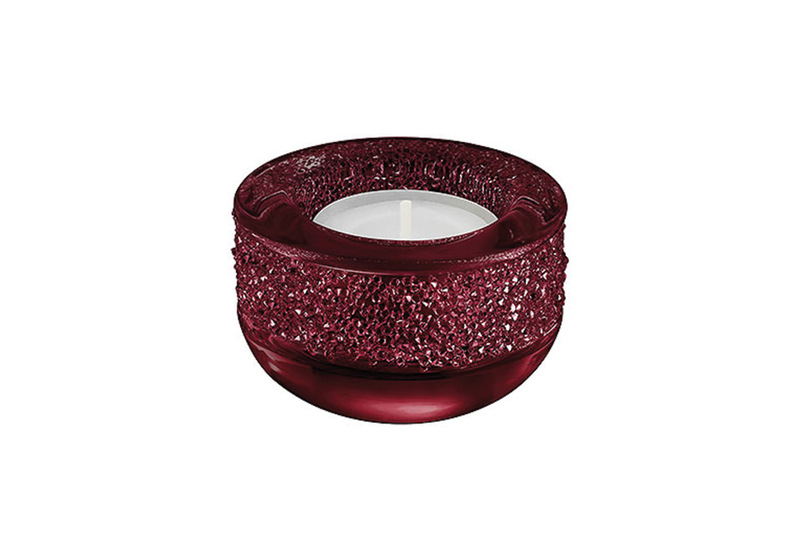 Available in five colours, from sparkling silver to deep burgundy, each tea light is embellished with hundreds of crystals courtesy of the Crystal Rock technique; guaranteed to be a festive favourite.